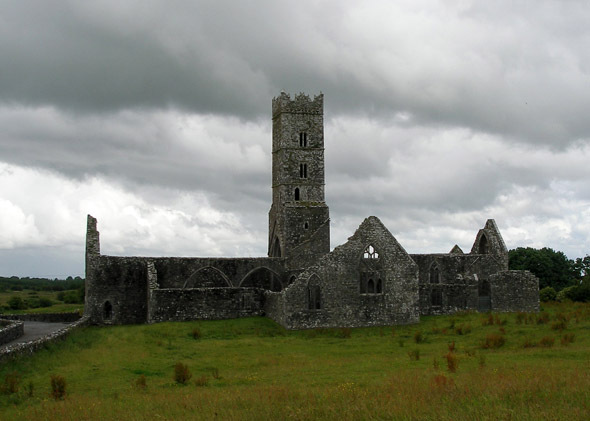 A Franciscan friary founded in 1353, by William O’Kelly, Lord of Ui Maine. The remaining building which are in good condition , consist of a church with nave, choir, south transeot and aisle, as well as some domestic buildings. The windows in the church probably date from the early 15th century. The church was in use until the 17th century, and was beseigned by Cromwellian Forces in 1650. 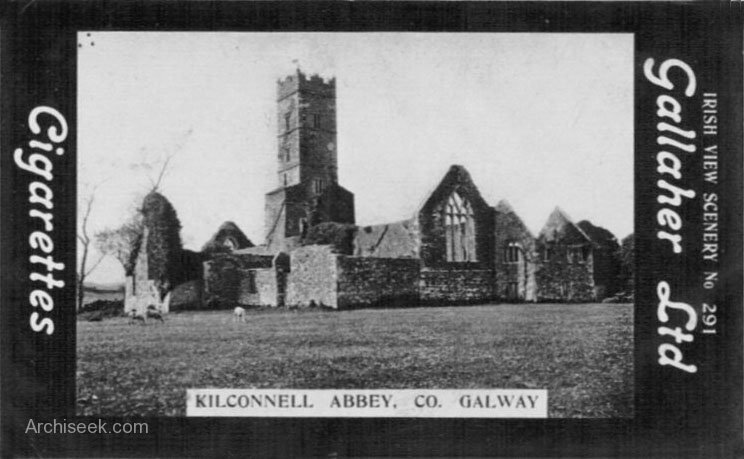 The friars finally left the abbey in the early 1690s.